Recently launched is Jax Media; a company that excels in a range of things: from website construction to logo designs to photo shoots and editing. I’ve been honoured to be a part of a couple of photoshoots with Jax Media, and the results that I’ve seen have been astounding. He’s prompt with getting the editing pictures on time, and during the shoot he does his best to give you an idea of what he has in mind. He is open to suggestions as well, and always seems to put that extra bit of effort and care into his product. Lights, camera, elbow in the face! Near the end of November 2012, I assisted my friend James in a photoshoot he was doing for some of the fighters belonging to Echelon Fight Management. In return he added me into the photoshoot line-up. 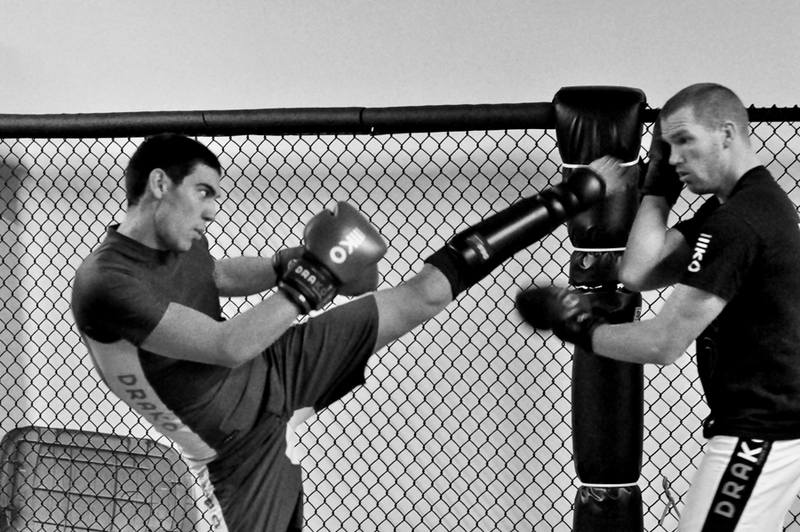 We did kickboxing, we did Brazilian Jiu-Jitsu, we did MMA, we did profile shots, still shots, and action shots. 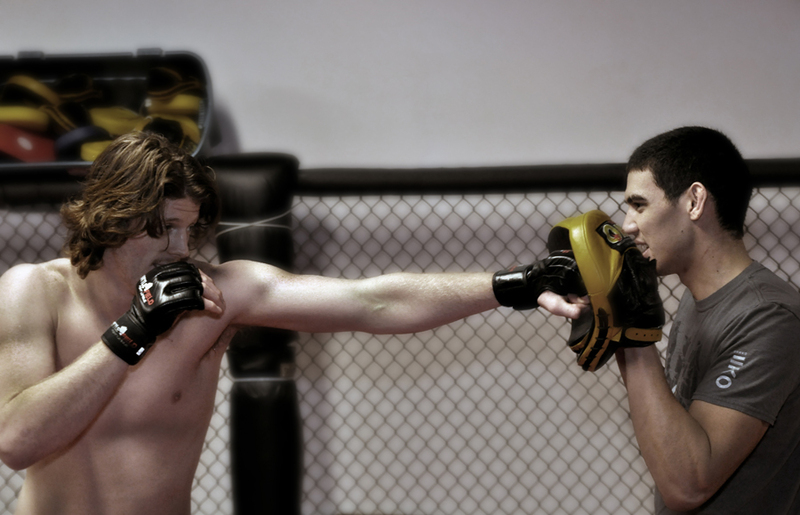 I sparred against Daniel McIver first in both BJJ and kickboxing. My eye accidentally collided with his elbow during the BJJ portion, gracing me with a bruise and a bit of swelling. I have no doubt that the gi saved me from bleeding. In return, I gave him a bit of tag on the chin with a lovely roundhouse kick. Every once in a while I remember how to kick properly and the result leans towards a KO. Next I would go through the kickboxing motions with Wael Gharieb, keeping things extremely light since he had a fight coming up the following week. I’ll just say that it’s been a while since I’ve towered over and outweighed an opponent. I did let a few through my guard, my punishment for getting cocky. 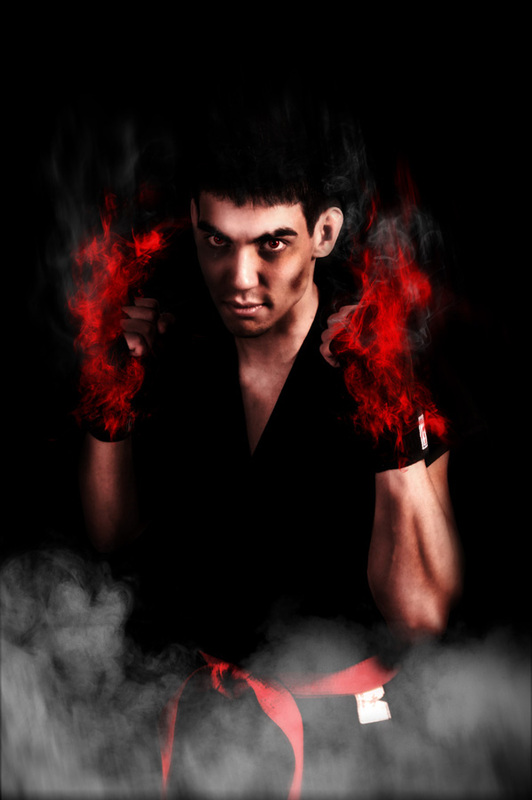 Finally, there was Micah Brakefield, newly turned pro MMA fighter under the Battlefield Fight League banner. We did some mitt drills and then moved onto MMA. Even at half-speed, I was soundly trounced by Micah’s experience. It was a great experience and lots of fun.